Baked Salmon is one of my favorite seafood dishes! 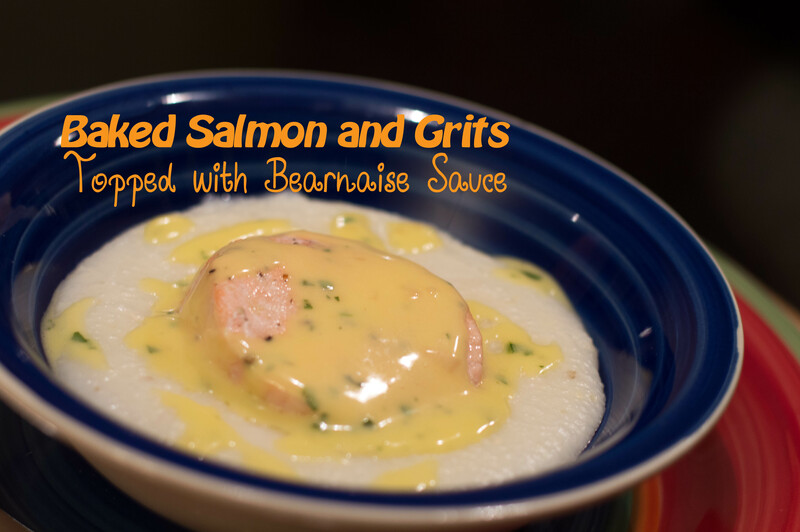 Pair it with some creamy buttery grits and you have food heaven! 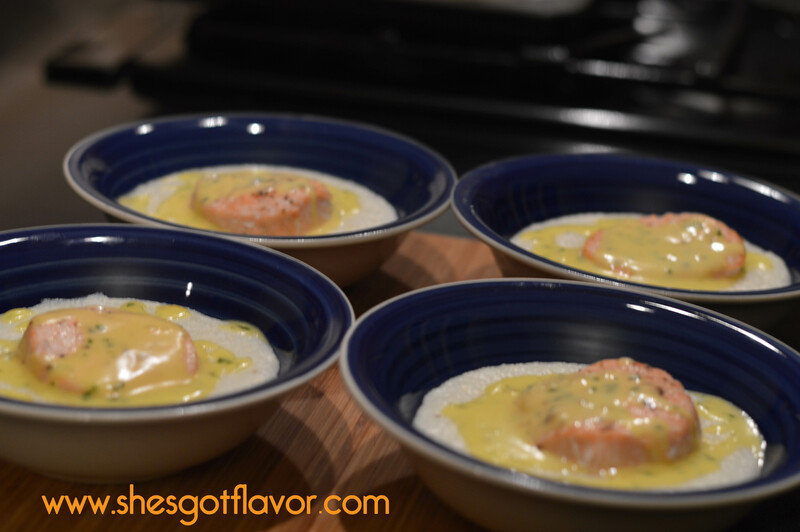 By using the parchment pouch (en papillote) to bake the salmon, it created this moist and tender salmon that just absolutely melts in your mouth just like the creamy grits and super delish bearnaise sauce! This is the perfect special breakfast, brunch, “I am trying to impress someone” kinda dish! Warning though, someone may wonder if you bought this from a restaurant and plated it when you got home! HA!! It’s really that good! Enjoy and share the recipe love! who knew biscuit cutters weren’t just for cutting biscuits HA! look at all this flavor locked in those pouches! 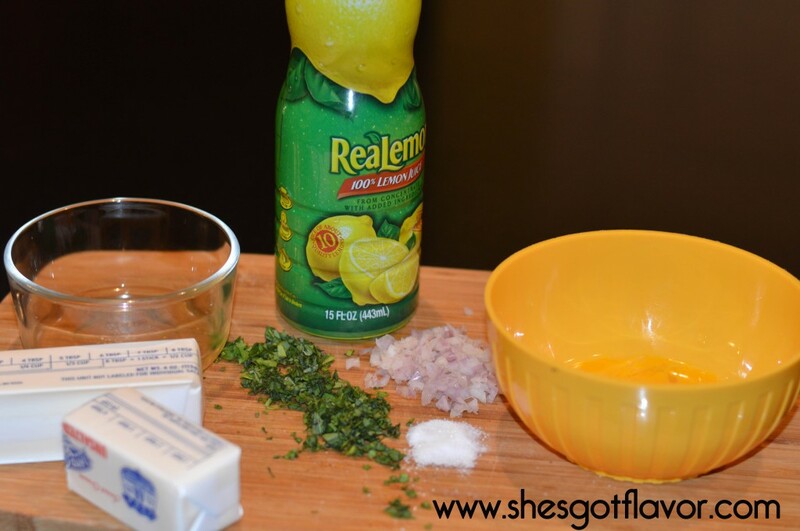 who knew bearnaise sauce was this easy to make?? ahh the family was sooooo happy!! Good lord that looks good! 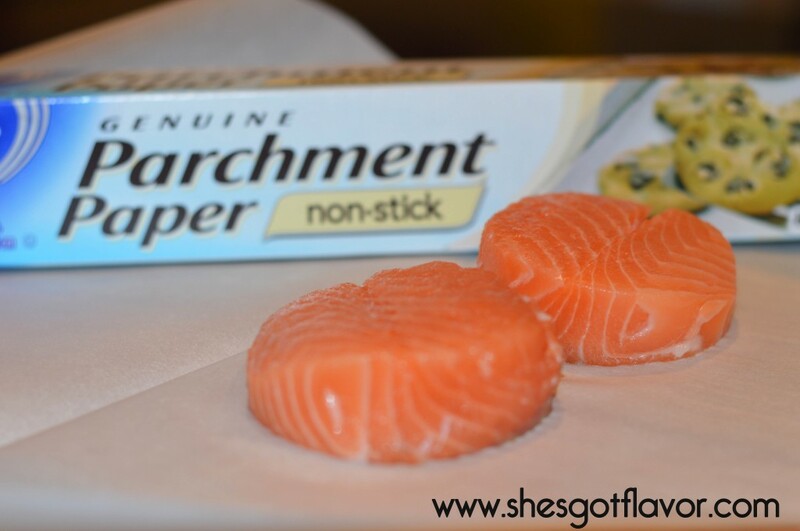 I do not like Salmon but I”m going to try this recipe…Thanks so much for sharing this! 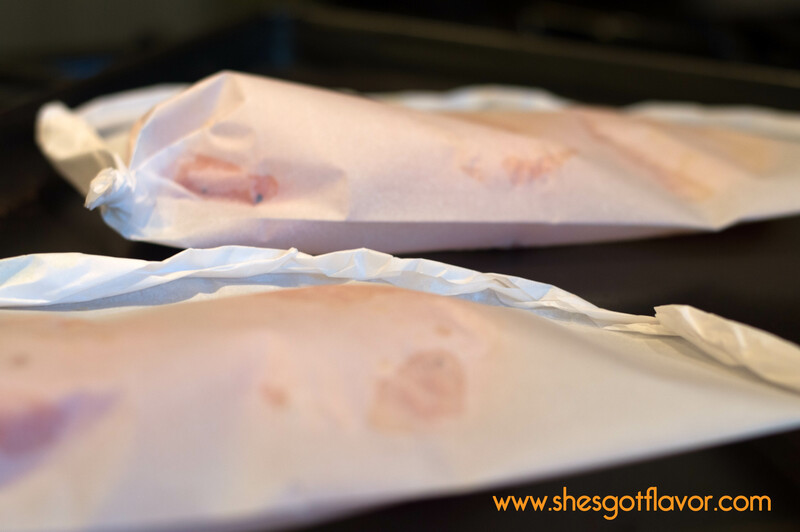 Although I am not a huge fan of fish, this recipe actually sounds pretty good. 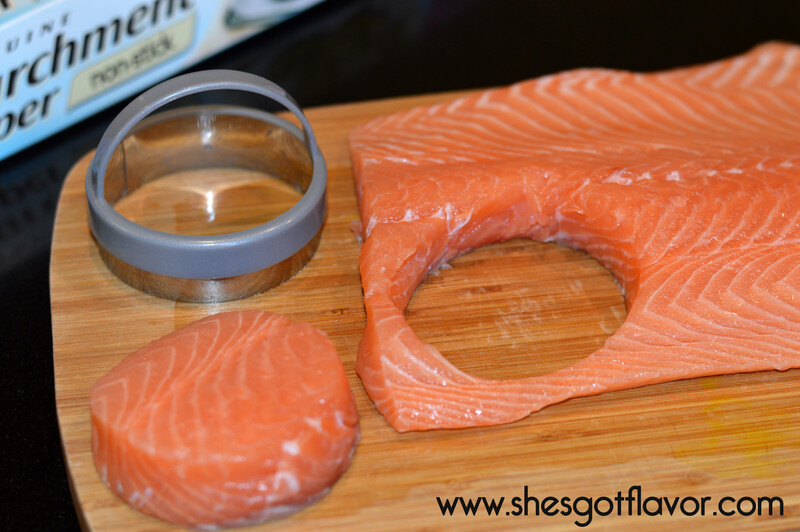 And since my husband loves salmon, I should make this for him and give it a try myself. Thanks for the recipe! This looks delicious. 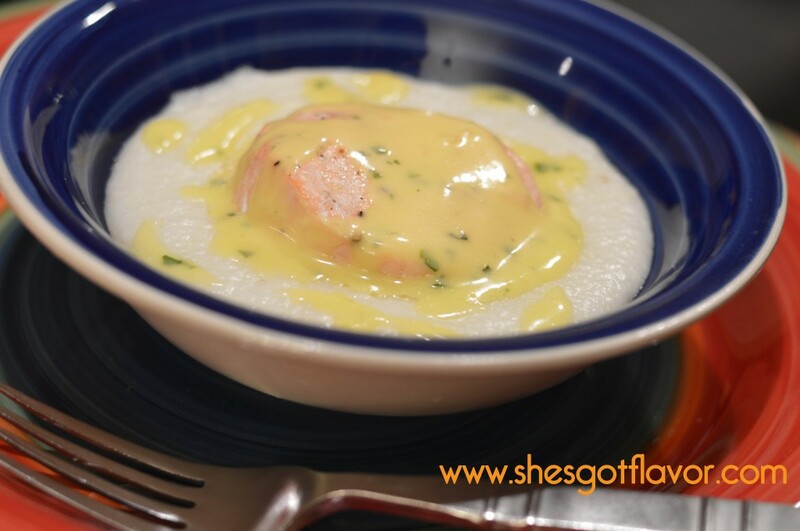 I’ve actually never had seafood with grits, despite living in the south most of my life. wow…I love fish. Looks a delicious recipe.